I get irate when watching a bad pickban phase. League's is simplistic compared to Dota 2's: for LoL, each side takes turns banning champions one at a time until six are banned away. Then they take turns picking champions in a 1-2-2-2-2-1 pattern (blue side picks one, red side picks two, blue picks two, etc). Then they swap the champions onto the players that are supposed to play them and hash out their strategies in the game. Dota 2's competitive system has bans and picks interweaved with each other, making for an involved game of what David Sirlin of "Play to Win" fame would describe as "yomi," or a form of mind-reading. But where Dota 2's is something akin to a game unto itself, League's much simpler approach only qualifies as a diversionary minigame. Theoretically, it should also be a minigame long solved. High-priority or flexible first picks and the core-structuring red-side 2/3 aren't complex concepts, and even a pro player distracted with thoughts of their rival's reputations and known specializations can kick out a decent team half the time. The fact that it's now global standard for coaches to assist their team in picks and bans, as has been recently formalized in both NA and EU LCS, should by and large make all team compositions and pick processes go like clockwork, or at least fail to make the audience smack their foreheads. Forget about slapping foreheads. I'm putting a dent into my desk. In North America, especially, the picks are so incredibly bad as to be stunning. But NA might as well be fielded by ten teams of utter geniuses compared to what happened over IEM Taipei, when defending GPL champions and LMS leaders Taipei Assassins got literally everything they could have wished for from the Saigon Jokers. It can't be the coaches, at least not entirely. TPA's process brightened the hell up once they got external aid. Are they simply not aware of how badly they've messed up their research and preparations? The more complex a game, the harder it is to balance it well. Sure, there is such thing as a competitive rock/paper/scissors scene, but is it going to get 150,000 Twitch viewers per broadcast? For various reasons, no: we prefer myriad and unpredictable outcomes that not only summarizes but demonstrates a player or team's cleverness. We also prefer it to be immediately understandable, which is tension in another direction and why watching Dota 2 pickbans put me to sleep—I'm not so nearly invested in their scene as to understand the nuances, so I lose interest quickly. But here in January 2015, the big priorities of League of Legends' pick/ban strategies should, by all means, be self-evident. And I feel that if it is evident even to me, there's no excuses for coaches and teams to be dropping the ball. They have to at least know what they're likely going to run into—there aren't that many different strategies to memorize, early into the 2015 season! If you aren't ready to deal with Gnar and Jarvan, ban one or both—and, honestly, if you're that badly prepped, ban both immediately. The "Gnarvan" combo is easy to understand: Jarvan creates a ring of walls around his target, and Gnar stuns anybody he slams into walls. The natural synergy, especially given that Gnar is blatantly overpowered at the moment with way too many free stats as Mega-Gnar, is usually enough to wreck any team they encounter. The funny thing is, this wasn't supposed to be possible. 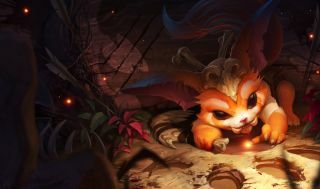 Gnar was explicitly designed to be hard to control: the forced transformation at full rage is meant to be difficult to handle, and hard to combo with. Difficult, but not impossible—and he was designed prior to Riot re-coding wall-creating abilities to interact exactly like their permanent environmental counterparts, enabling current top laners to figure out absolutely sickening synergies with their junglers. You know a team's gone when the combo hits—you know it because Gnar's so aggressively overtuned that the wide and heavy hit melts even the tankiest health bars, tipping the balance in his team's favor. But note that I'm stressing Gnar's involvement, and not Jarvan IV's. Though Jarvan has been an incredibly popular jungler, his individual contribution mainly counters no-dash champions like Xerath or Sivir, who needs Flash up to escape his attention. Other popular picks are less vulnerable to him—but all are vulnerable to Gnar, whose conditionally long-range jumps can ruin the day for even the most mobile champions. Fights are slightly less effective without a summonable wall for him to interact with, but junglers like Lee Sin, Rek'Sai or Rengar still work just fine setting up for his rampage. If teams are smart enough to ban out Jarvan and Gnar together, they haven't quite caught on that it isn't safe to relax yet. As mentioned: part of the reason to pick Jarvan in the first place is to have a hard answer to Sivir. So why pick Sivir? Because Kassadin, Lissandra and LeBlanc are in the game, and good luck surviving encounters without a Spell Shield to negate a double AP assassins initiation! Setting up the strategy core is also deceptively easy: all three are great midlaners right now, but Kassadin and Lissandra are also highly effective top laners, making it difficult to know if a team's going for this specific strategy until it's too late and one side's already locked into their strategy. This is the one composition that maybe gives the Gnarvan combo problems. Due to the immediate blink abilities, Jarvan's Cataclysms are less reliable set-ups for Gnar's wall-slams, allowing a team to swiftly reposition and take advantage of their ability cooldowns to destroy the back line. But assassins are decidedly early and mid-game oriented strategies, and bypassing the threat wall imposed by Jarvan and Gnar is a very skill-intensive deed, turning considerably harder the later the game goes on (and very hard if the Gnar player has above-caliber rage management). If you don't need to worry about Gnar and Jarvan and are expecting your opponent to dip into their assassins pool, you're going to be running Sivir and Morgana. Possibly Sivir and Janna, if the threat is more from hard damage than crowd control abilities. Sivir and Morgana, in particular, are nearly impossible for the current crop of close-range assassins to sink their fangs into: both have Spell Shields to deter attempts to pin them down, and the mobility offered from Sivir's On The Hunt lets them slip away long before even Kassadin can Riftwalk after them. But the threat isn't the bot lane pairing specifically, but what Sivir's presence enables. Like with Jarvan's interaction with Gnar, her ultimate supercharges a jungler from decent status to unholy terror. Though the western scene's infamously had a hard time utilizing Rengar in competitive play, literally everybody else in the League of Legends scene has long since treated him as a high priority. With Sivir, Janna or Orianna to help him close the distance on squishy targets—like other assassins—a Rengar-centric composition is like an anti-pick composition. His rooting crowd control and instantaneous burst out of stealth would normally be telegraphed by the Metal Gear Solid-esque exclamation marks over opponents' heads when he approaches, but the speed bursts provided by the rest of his team largely negates this deliberate weakness in his design. It also really helps that On The Hunt goes both ways: it lets Sivir and her support fall back as Rengar advances, rewriting the lines of the battlefield in favor of their team. So that's the current lopsided rock-paper-scissors situation for League of Legends, but there's one last thing to note: Rek'sai. Yes, like Gnar, another ridiculously overtuned champion to prioritize in bans or even first/second picks. League of Legends' answer to Dota 2's Sand King's an enormous destabilizing force, and I wholly recommend simply banning her outright at the start. Not only does she very easily bypass most barriers, not only does her ultimate effectively grant her total map control, but the damage she currently does is on the absurd end. Even if she builds full tank—especially if she builds full tank—the base values and true damage nuke makes her a fully independent threat, with any of the current team comps only amplifying her effectiveness. Though there are individual elements in the current metagame that I consider destablizing (Gnar and Rek'sai's lead designers need to spend a good long time contemplating their philosophies), I actually like this current metagame's three-way tension, as each has multiple variants and approaches within them, and each are centralized around teamfighting anyhow, producing spectator-friendly clashes. What I don't like is needless sloppiness, or evidence of lack of preparation from nominally professional teams and players. The data, nuances and success rates of all three current strategies should be very well known to them and their analysts, as well as the preference rates of their rival teams. Knowing how to prioritize the picks to obfuscate their intentions should also be clear, yet what we're seeing is not obfuscation but outright errors. The difference between solo queue and ranked 5's play is building a coherent intention, not reactively cobbling responses, yet you see a lot of the latter at the bottom of the LCS ladders. Order of picks matter: whether you're blue side using a flex pick first to test enemy waters, or if you're red side nabbing priority picks before your opponent can dilute the field against you. Bans matter especially so: blue side gets a significant advantage, being able to effectively four-ban against a single player, which is absolutely devastating against teams with a known specialist of limited breadth, though it's a strategy that falls out of favor against truly high-caliber players whose overall game mechanics are sound even without favorite picks. Yet even without locking out, hyper-focused bans do lock teams in on specific champion-oriented strategies, and can be used as a trap to draw them out of their comfort zones. It would be a mistake to treat the initial strategy parts of a competition as less vital than overall skill. Everybody's putting in the hours now. Everybody's taking practice more seriously (or should be). Even in the western scene, where the grassroots histories of players and organizations are still peeping out in tufts from the roughly woven blankets of respectability and legitimacy, there's been an increasing equivalence in individual skill. The hierarchies are no longer so strict as Player A is guaranteed to beat B is guaranteed to beat C, but roughly estimated odds and percentages based on matchups and conditions. So the teams, and especially the coaches, have to learn to create those conditions. Piece by piece. Champion by champion. And most importantly, pay attention to how their rivals are doing so, and what changes they are likely to make from week to week. Don't think for a moment that they won't be scouting you in Shanghai or Seoul. If not now, then certainly over the summer. Plan accordingly.